The brand recommends that you buy your normal jean size for a snug fit, or +1 size for a comfortable fit. Core denim essentials. Mid-rise, skinny jeans feature a relaxed, straighter leg that is slim but not skin tight. 14.5 oz, rigid, Japanese selvedge denim features a sanforized finish for a supremely soft hand feel. Indigo raw denim flaunts a rope-dyed finish for added depth. Classic five-pocket design boasts a hidden selvedge coin pocket detail. Hidden rivets for a clean finish. Belt loop waistband. Leather patch sets off back waist. Signature blue ear selvage and chain-stitched hem. Button-fly closure. Style UB101. 100 percent cotton. Machine wash cold, tumble dry low. Imported. Measurements: Waist Measurement: 32 in Outseam: 45 in Inseam: 35 in Front Rise: 9 in Back Rise: 14 in Leg Opening: 14 in Product measurements were taken using size 32, inseam 36. Please note that measurements may vary by size. The brand recommends that you buy your normal jean size for a snug fit, or +1 size for a comfortable fit. Core denim essentials. 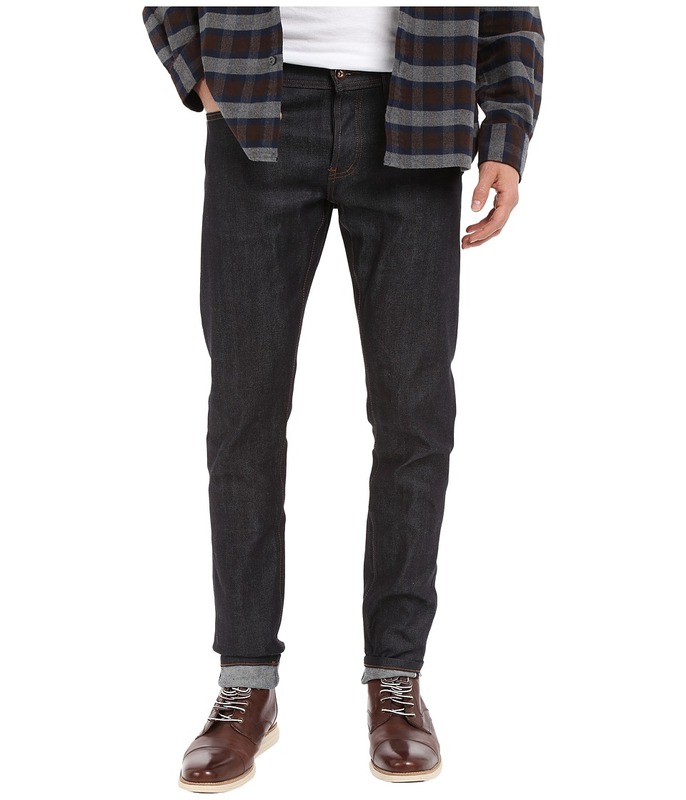 Mid-rise, slim jeans are roomier through the seat and thigh, and taper from the knee down to a narrow leg opening. 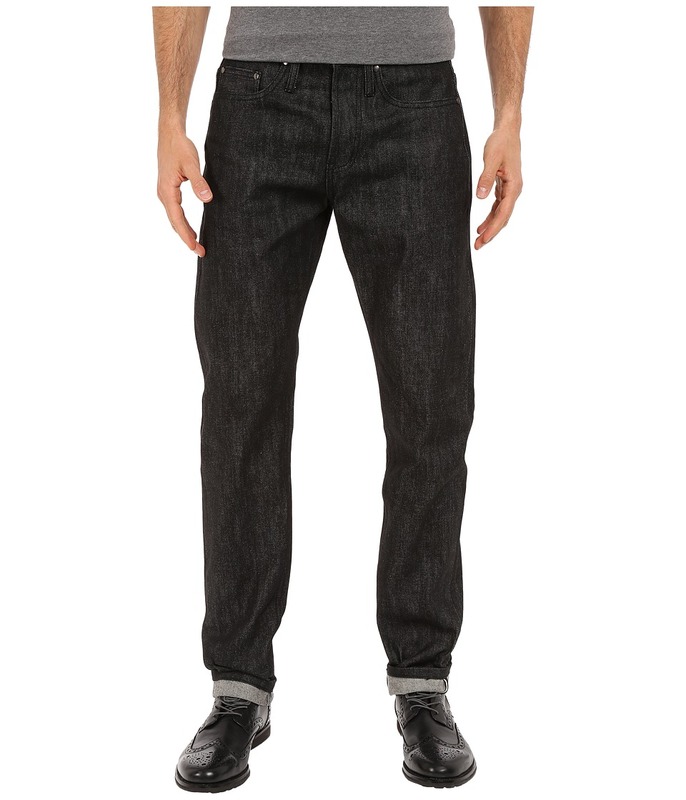 14.5 oz, rigid, Japanese selvedge denim features a sanforized finish for a supremely soft hand feel. Indigo raw denim flaunts a rope-dyed finish for added depth. Classic five-pocket design boasts a hidden selvedge coin pocket detail. Hidden rivets for a clean finish. Belt loop waistband. Leather patch sets off back waist. Signature blue ear selvage and chain-stitched hem. Button-fly closure. Style UB201. 100 percent cotton. Machine wash cold, hang dry. Imported. Measurements: Waist Measurement: 32 in Outseam: 42 in Inseam: 31 in Front Rise: 11 in Back Rise: 14 in Leg Opening: 13 in Product measurements were taken using size 32, inseam 34.5. Please note that measurements may vary by size. The brand recommends that you buy your normal jean size for a snug fit, or +1 size for a comfortable fit. Core denim essentials. Mid-rise, skinny jeans feature a skinny leg and a heavy taper from the knee down for a stunning fit. 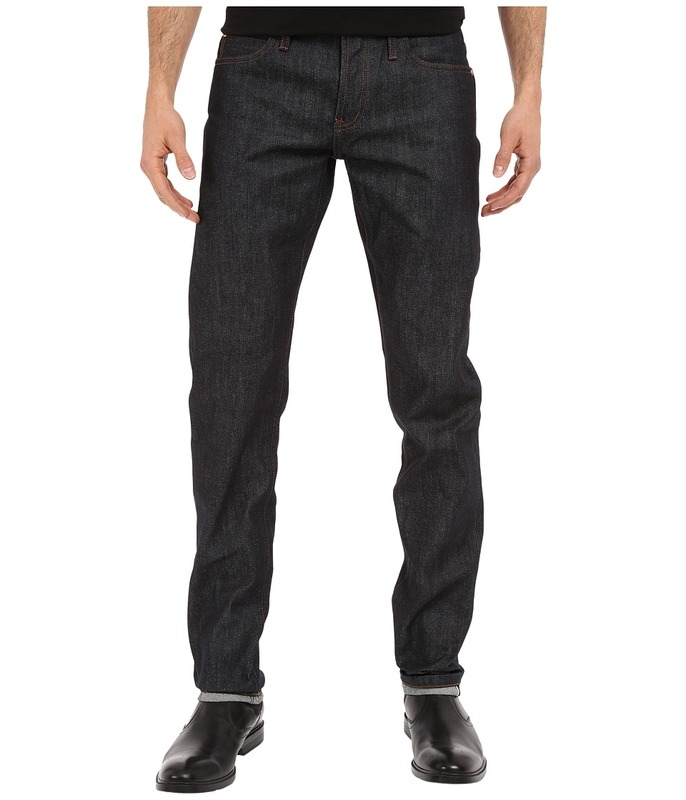 14.5 oz, rigid, Japanese selvedge denim features a sanforized finish for a supremely soft hand feel. Indigo raw denim flaunts a rope-dyed finish for added depth. Classic five-pocket design boasts a hidden selvedge coin pocket detail. Hidden rivets for a clean finish. Belt loop waistband. Leather patch sets off back waist. Signature blue ear selvage and chain-stitched hem. Button-fly closure. Style UB401. 100 percent cotton. Machine wash cold, hang dry. Imported. Measurements: Waist Measurement: 32 in Outseam: 43 in Inseam: 34 in Front Rise: 10 in Back Rise: 14 in Leg Opening: 12 in Product measurements were taken using size 32, inseam 34. Please note that measurements may vary by size. The brand recommends that you buy your normal jean size for a snug fit, or +1 size for a comfortable fit. Core denim essentials. Mid-rise, skinny jeans feature a relaxed, straighter leg that is slim but not skin tight. 11 oz, stretch, Japanese selvedge denim features a sanforized finish for a supremely soft hand feel. Indigo raw denim flaunts a rope-dyed finish for added depth. Classic five-pocket design boasts a hidden selvedge coin pocket detail. Hidden rivets for a clean finish. Belt loop waistband. Leather patch sets off back waist. Signature blue ear selvage and chain-stitched hem. Button-fly closure. Style UB122. 99 percent cotton, 1 percent spandex. Machine wash cold, hang dry. Imported. Measurements: Waist Measurement: 32 in Outseam: 45 in Inseam: 36 in Front Rise: 10 in Back Rise: 14 in Leg Opening: 14 in Product measurements were taken using size 32, inseam 36. Please note that measurements may vary by size. The brand recommends that you buy your normal jean size for a snug fit, or +1 size for a comfortable fit. Core denim essentials. Mid-rise, slim jeans are roomier through the seat and thigh, and taper from the knee down to a narrow leg opening. 11 oz, stretch, Japanese selvedge denim features a sanforized finish for a supremely soft hand feel. Indigo raw denim flaunts a rope-dyed finish for added depth. Classic five-pocket design boasts a hidden selvedge coin pocket detail. Hidden rivets for a clean finish. Belt loop waistband. Leather patch sets off back waist. Signature blue ear selvage and chain-stitched hem. Button-fly closure. Style UB222. 99 percent cotton, 1 percent spandex. Machine wash cold, hang dry. Imported. Measurements: Waist Measurement: 32 in Outseam: 41 in Inseam: 32 in Front Rise: 10 in Back Rise: 14 in Leg Opening: 14 in Product measurements were taken using size 32, inseam 34.5. Please note that measurements may vary by size. The brand recommends that you buy your normal jean size for a snug fit, or +1 size for a comfortable fit. Core wardrobe essentials. 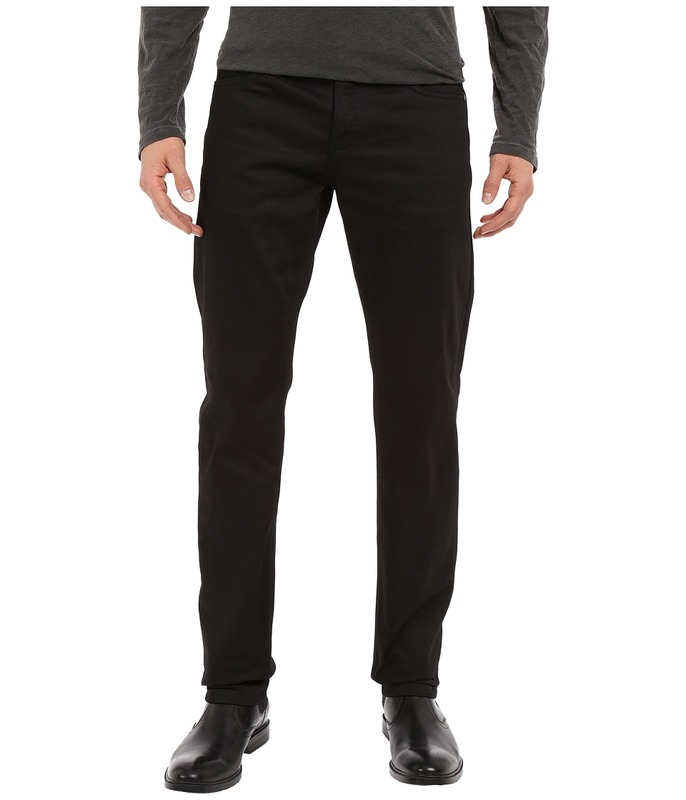 Mid-rise, skinny chinos feature a relaxed, straighter leg that is slim but not skin tight. 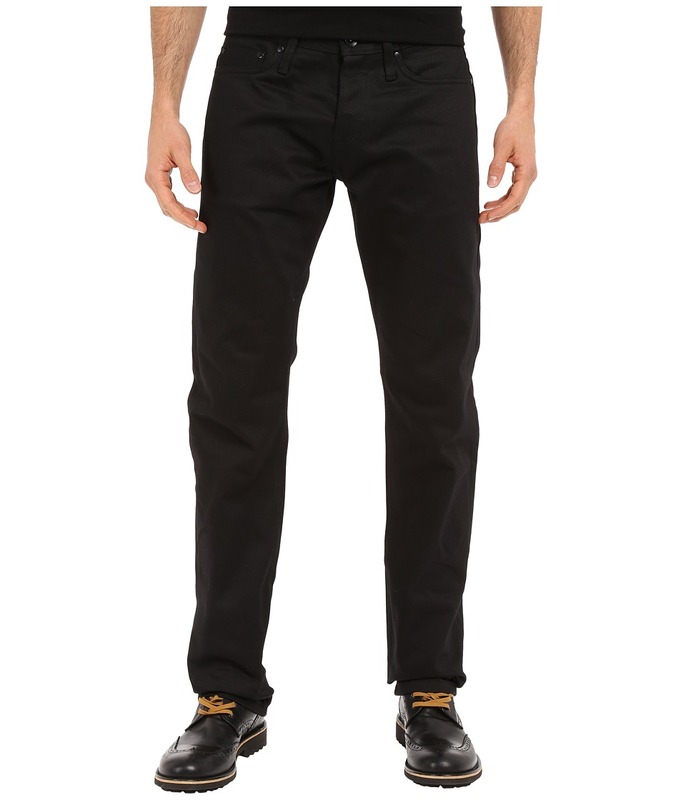 13 oz chino fabric features a sanforized finish for a supremely soft hand feel. Clean black hue. Classic five-pocket design boasts a hidden selvedge coin pocket detail. Hidden rivets for a clean finish. Belt loop waistband. Leather patch sets off back waist. Signature chain-stitched hem. Button-fly closure. Style UB155. 100 percent cotton. Machine wash cold, hang dry. Imported. Measurements: Waist Measurement: 32 in Outseam: 45 in Inseam: 36 in Front Rise: 9 in Back Rise: 14 in Leg Opening: 14 in Product measurements were taken using size 32, inseam 36. Please note that measurements may vary by size. The brand recommends that you buy your normal jean size for a snug fit, or +1 size for a comfortable fit. Core wardrobe essentials. 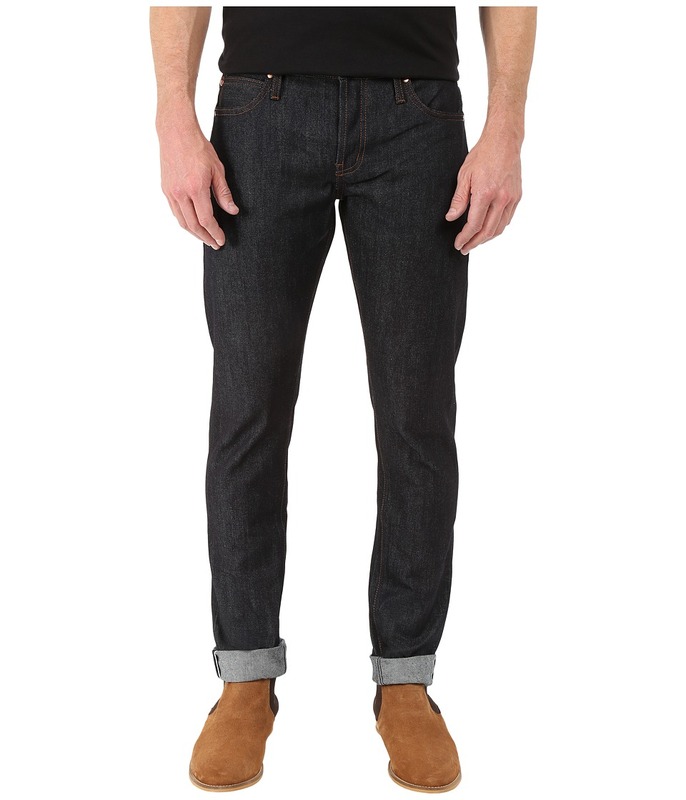 Mid-rise, slim jeans are roomier through the seat and thigh, and taper from the knee down to a narrow leg opening. 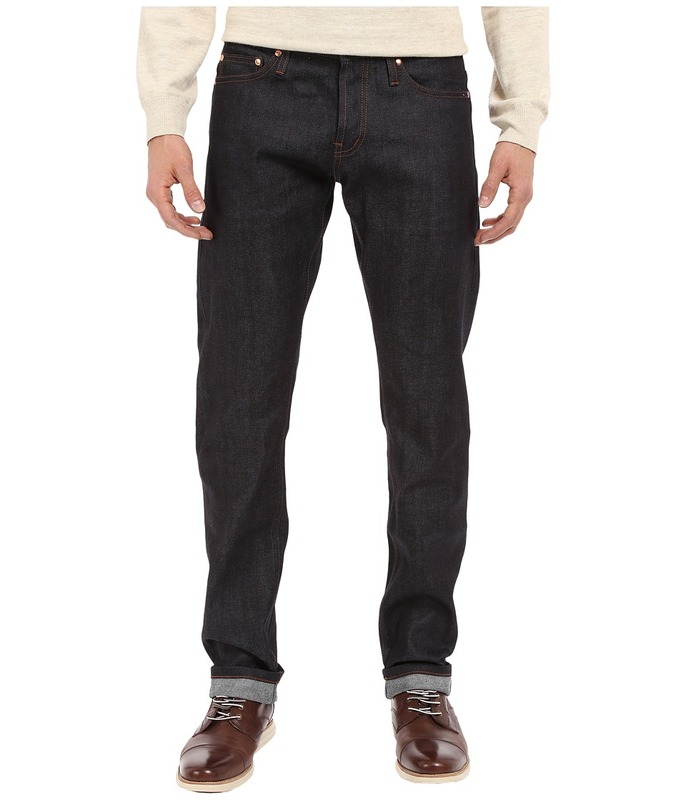 13 oz Japanese selvedge chino features a sanforized finish for a supremely soft hand feel. Clean black hue. Classic five-pocket design boasts a hidden selvedge coin pocket detail. Hidden rivets for a clean finish. Belt loop waistband. Leather patch sets off back waist. Signature chain-stitched hem. Button-fly closure. Style UB255. 100 percent cotton. Machine wash cold, hang dry. Imported. Measurements: Waist Measurement: 32 in Outseam: 43 in Inseam: 34 in Front Rise: 10 in Back Rise: 13 in Leg Opening: 15 in Product measurements were taken using size 32, inseam 34.5. Please note that measurements may vary by size. The brand recommends that you buy your normal jean size for a snug fit, or +1 size for a comfortable fit. Core denim essentials. Mid-rise, skinny jeans feature a skinny leg and a heavy taper from the knee down for a stunning fit. 11 oz, stretch, Japanese selvedge denim features a sanforized finish for a supremely soft hand feel. Indigo raw denim flaunts a rope-dyed finish for added depth. Classic five-pocket design boasts a hidden selvedge coin pocket detail. Hidden rivets for a clean finish. Belt loop waistband. Leather patch sets off back waist. Signature blue ear selvage and chain-stitched hem. Button-fly closure. Style UB422. 99 percent cotton, 1 percent spandex. Machine wash cold, hang dry. Imported. Measurements: Waist Measurement: 32 in Outseam: 40 in Inseam: 32 in Front Rise: 9 in Back Rise: 14 in Leg Opening: 12 in Product measurements were taken using size 32, inseam 34. Please note that measurements may vary by size. The brand recommends that you buy your normal jean size for a snug fit, or +1 size for a comfortable fit. Core denim essentials. 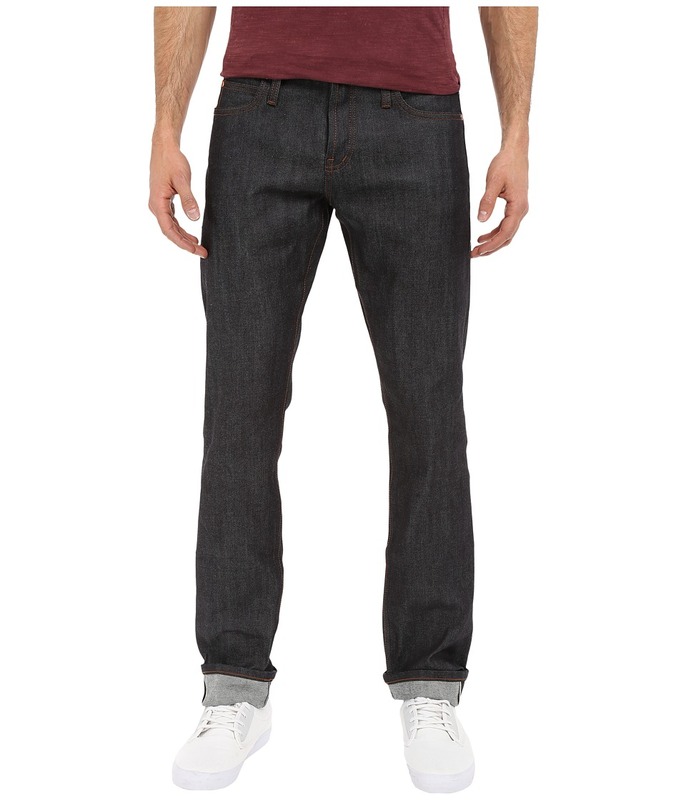 Mid-rise, slim jeans are roomier through the seat and thigh, and taper from the knee down to a narrow leg opening. 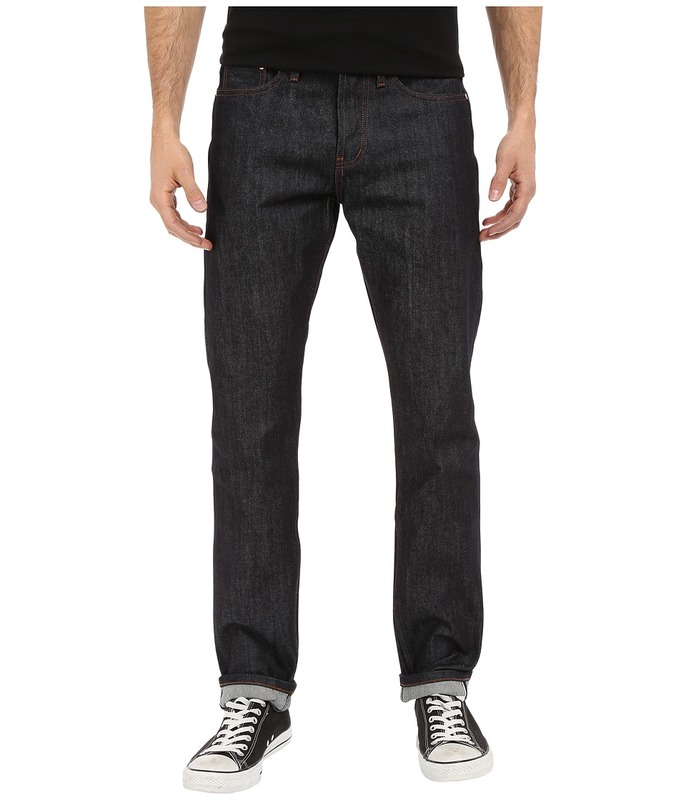 14.5 oz, rigid, Japanese selvedge denim features a sanforized finish for a supremely soft hand feel. Black raw denim flaunts a rope-dyed finish for added depth. Classic five-pocket design boasts a hidden selvedge coin pocket detail. Hidden rivets for a clean finish. Belt loop waistband. Leather patch sets off back waist. Signature blue ear selvage and chain-stitched hem. Button-fly closure. Style UB204. 100 percent cotton. Machine wash cold, hang dry. Imported. Measurements: Waist Measurement: 32 in Outseam: 44 in Inseam: 34 in Front Rise: 11 in Back Rise: 14 1 2 in Leg Opening: 14 in Product measurements were taken using size 32, inseam 36. Please note that measurements may vary by size.